Oil Slick Near Venice, Louisiana – Leaking Well Identified! We’ve identified the leaking well photographed yesterday, using the map-viewer at SONRIS. 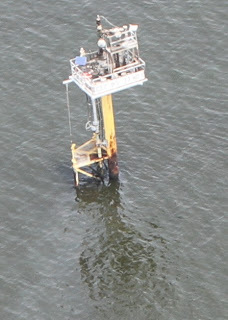 It was drilled in 2004 and produces natural gas and liquid gas condensate, probably what’s causing the visible slick. The API number is 17726205660000. We haven’t found a way to look up the well operator in SONRIS, but with that API number – a unique ID number given to every oil and gas well in the US – state officials and the Coast Guard should have everything they need to run this down. Is this the well responsible for the oil slicks reported near Venice since June 8? I think that’s likely, but can’t rule out the possibility of another leak or spill in the area. There’s a lot going on in that part of the Gulf. Routine satellite monitoring would sure be helpful. But to my Gulf Monitoring Consortium partners, I’d like to say: job well done, folks! https://skytruth.org/wp-content/uploads/2011/06/Wellhead_detail-1.jpg 627 447 John Amos /wp-content/uploads/2016/08/test_logo.png John Amos2011-06-11 13:19:002019-02-26 09:30:09Oil Slick Near Venice, Louisiana - Leaking Well Identified! 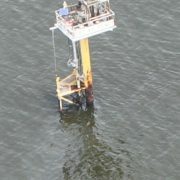 Oil Slick Near Venice, Louisiana – Leaking Platform Location Oil Slick Near Venice, Louisiana – Operator Identified?